Top Rated College Essay Tutors in Phoenix, AZ! Welcome to Phoenix’s top-rated private college essays in-home tutoring service! All of the following Phoenix college essays tutors are certified by Varsity Tutors, the leading tutoring agency in the country! 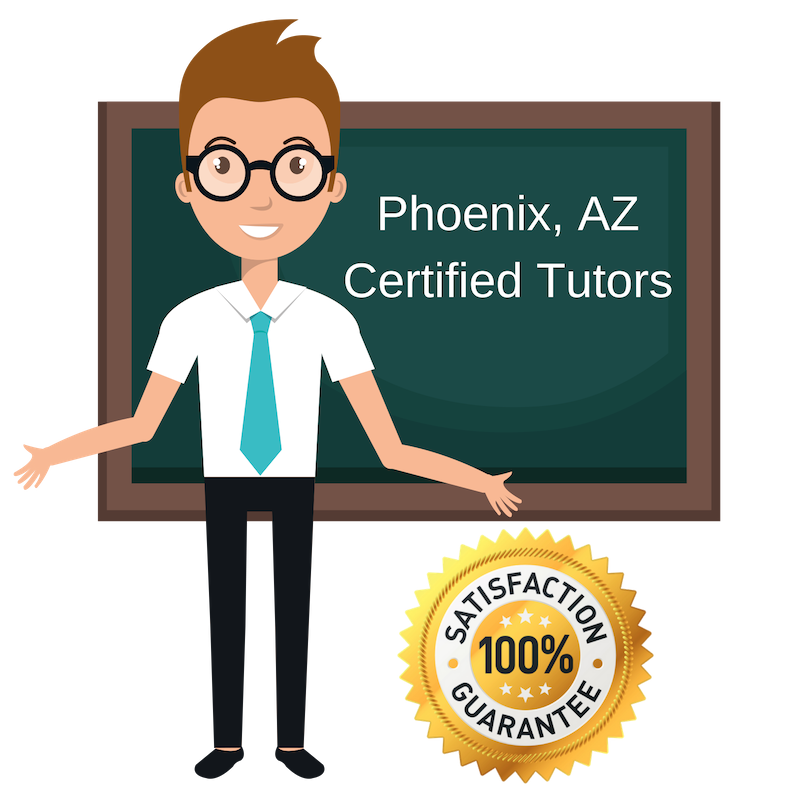 All Phoenix college essays tutors have been background checked, been interviewed, had mock college essays tutoring sessions, and been trained by professionals. We guarantee you will love your local Phoenix college essays tutor or your money back! Get information regarding a top-rated college essays tutor today! I am currently a teacher in Arizona, where I have taught for the past ten years. English has always been my focus and I enjoy working with students and helping them overcome their struggles in this subject. I truly love reading and writing and want to share my passion with students. I’m excited to be able to tutor students in Phoenix and help them with their college essays. College essays are a time for students to really unleash their full creativity and explore new ideas, but it can be a daunting task for many. I want to help them concept and outline their essay, and then write it beautifully. I have my Master’s in Education and have worked with students of all levels. While in school pursuing my Master’s degree I taught undergraduate courses, both Composition courses, and tutored in the campus-writing center. I realized how much I love writing and helping students bring their ideas to the paper and find their writing voice. I got my Master’s degree from Northern Arizona University in Literature. I tutor students in the Phoenix area in college essays. I’m excited to work with students on bringing their ideas to life through essay and making it great. I create a safe and open learning environment when tutoring, and make sure students feel comfortable discussing any idea. I try and make the sessions interactive and enjoyable for everyone, because that is the best way to learn and work. I love reading and writing stories, as well as posting movie/book reviews in my blog. My teaching and tutoring career began in 2002. I have worked with students and welcome students of all backgrounds and levels. I received my Master’s degree from the University of California at Berkeley in German Literature, Culture, and Sociolinguistics. I hold two other degrees as well. I really love to learn and have done so quite successfully. I’m also a first generation college students, providing me with a unique perspective on how to highlight your story and use your college essay to highlight your point of view and perspective. I tutor students in Phoenix in writing their college essay and I would be so excited to work with you and help you write yours. When I am not tutoring or teaching, I love being outside and biking, getting the chance to speak at events, and spending time with my children. In 2015, I graduated from Arizona State University with a B.S. in Biological Science. While in school I was a Writing Fellow and had a job at the College of Letters and Sciences. There, I helped with English classes, where I discovered my passion for writing. I want to use this passion to help students write their college essays. College essays should be fun and exciting, but it’s great to have the chance to work with someone to help with structure, proofreading and general feedback. I tutor students writing their college essay in Phoenix and it’s a great experience! When I’m not tutoring, I’m probably writing myself. I am currently pursuing a degree in nursing at Arizona State University. While I very much enjoy science, I also really love English and writing. English courses have always been very interesting and engaging for me and I want to share that passion with others. I tutor students and help them with their college essays. No matter what subject you want to pursue in college, the essay is a big part of your application. I completely my college application fairly recently and still remember how nerve-wracking the experience can be, but I want to help eliminate some of that stress and make it a more interesting and exciting process for students.